 By using divert you can divert calls arriving at your own extension to another PBX extension, an external number or your own mobile (for more information consult the page call actions). The divert status is notified by the GUI to the user in the way indicated by the image at the side. 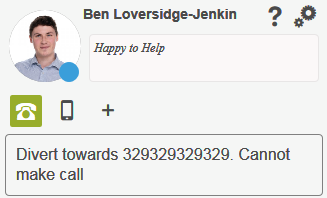 In this status it will not be possible to make calls from the GUI and terminals associated with the user will not ring with an incoming call; instead the call will ring at the destination indicated by the message shown on the UI (in the example, the number 329329329329 will ring. It is still possible to continue to use the terminals to make outgoing calls. The user on divert will always be free for other users as it is not possible to revert to the status of the divert’s destination.